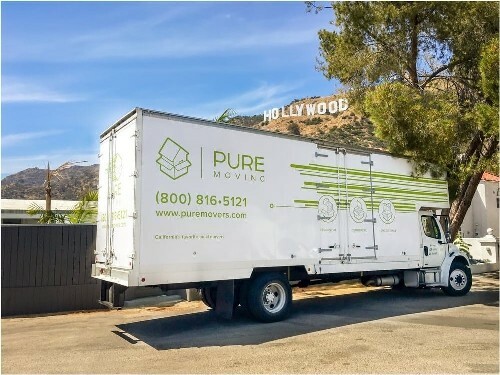 Pure Moving Company is an eminent moving company of California area and is fully dedicated to making every client’s move successful and stress-free. The company consists of an A+ rating with the BBB and is indulged in offering full fledge and professional moving services to all the customers in order to offer them 100% satisfaction about the move and to move them to their new location with happy and smiling faces eliminating all the tension and chaos. The company deals in all sorts of moving that include residential, commercial, and local or long distance, and has a wide variety of moving services for you all to choose from to make your move planned and designed in your own way. And, all their services are available at fair and low rates and do not include any hidden fee or extra charges thus allowing you all to move in an affordable and easy manner. Other than this, the company consists of a talented team of movers who are eligible in performing each and every task right and on time. They all come with fully equipped trucks and packaging material and will pack and load all your items very carefully keeping the good’s safety measures in mind. These efficient and hardworking movers are capable of moving everything be it of any shape or size, they will move them will utmost care and responsibility making sure that none of them gets damaged during the relocation. The company also holds in capabilities like logistical, packing and storing all your valuables safely and securely in their climate controlled and spacious warehouses. Their professional and friendly movers, strive to offer you a good quality of moving services and also to make your move easy and stress-free accomplishing them a bit faster than any other moving company in the industry. Come and experience a fun way of moving your belongings with Pure Moving Company. Call them or visit their website to have more information about their services and deals. The company started out operating in 2010 and has been in the moving industry for a quite long time now. And, since establishment, they are indulged in making each of its clients move smooth, seamless and fun. Throughout the successful years of business, the company has come so far from its initial position by making n number of people satisfied with their excellent moving services. Over the time, they have made ample of moves successful and are known to be as the most reliable and most preferred moving company of the industry, as compared to the other ones. For Harry S. his customers are always on the top of his priority list and he is fully dedicated to serving them with his company’s numerous excellent moving services in order to offer them 100% satisfaction about the process being done. With all the efforts and hard work, he has succeeded in making his company a successful venture in such a competitive market. And, the company too has shown incredible growth under his ownership. 1601 N Gower St, Ste 205, Los Angeles.